Indication of the ecological conditions of agricultural land in Ukraine: a social unit. It was conducted the research of indicators, identified earlier by the author, of social state of agricultural land use in Ukraine. These indicators include: the number of born, the number of deaths and natural population growth in rural areas; life expectancy at birth in rural areas; fertility, mortality and natural population growth in rural areas; the infant mortality rate, the presence of toxic industrial waste in per capita; providing the population with agricultural products; consumption of food in rural areas; factor of social efficiency; gross agricultural output per capita; average housing per rural capita; housing equipment in rural areas;average level of cultural institutions and the arts per rural capita; provision in rural areas durables. 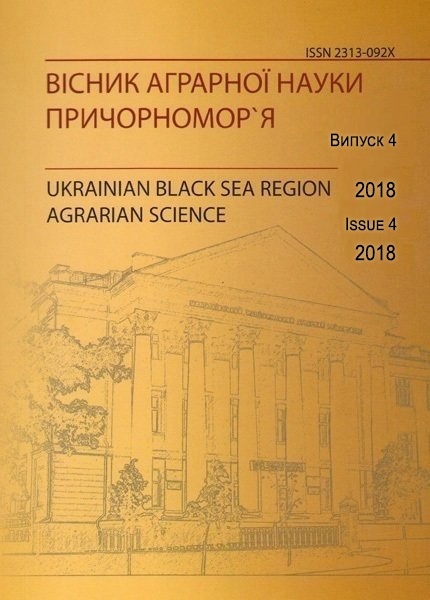 As a result it was made a conclusion about the discrepancy of the achieved state to the conditions of sustainable development of agricultural land use in Ukraine. In particular, it was found that out of twenty-six indicators that are taken for analysis, only four indicators of social unit (rural housing and its equipment, the infant mortality rate, the volume of gross agricultural output per 1 person) and four indicators of socio-economic bloc (land availability, investment per capita, quintylyty income differentiation factor , the level of economic activity in rural areas) are better from the baseline value over the years, and others – eighteen – worse. Determined that in the rural areas declining the population birth rate, the natural growth and life expectancy at birth, increase the mortality. Rural economy crisis led to a significant reduction of the rural population. Reduced output of major agricultural products in per capita and consumption of food does not meet reasonable standards, deteriorated the level of availability of culture and art institutions. Proved that the environmental and economic development of the land use did not provide the improvement of social indicators, didn’t laid the positive foundations for future generations. Key words: indication, model, land use, sustainability, social state. 1. Medouz D. Kh. Za predelamy rosta / D. Kh. Medouz, D. L. Medouz. – M. : Pangheja, 1994. — 345 s.
2. The limits to growth. A report for the Club of Rome’s project on the predicament of mankind / Meadows D.H., Meadows D.L., Randers J., Behrens III. — W.W.L. — 1972. — 548 p.
3. The Limits To Growth / Donella H. Meadows, Dennis L. Meadows, Jorgen Randers, William W. Berners III. — Universe Books, 1972. — 205 p.
4. Daly H. E. Towards some operational principles of sustainable development // Ecological Economics. — 1990. — №2. — P. 1—6. 5. Constanza R. Assuring sustainability of ecological economic systems // The book “Ecological Economics”. — N.Y. : Columbia University Press. 1991. — P. 331—343. 6. Brundtland G.H. Opening address to the seventh meeting of the World commission on enviroment and development // World Commission on Environment and Development. Highlights from the Public hearing. — M. — 1986. 7. Jay W. Forrester. World Dynamics. — Cambridge, Mass. : Productivity Press; 2nd edition, 1971. — 141 p.
8. Akymova T. A. Эkologhyja. Chelovek — Эkonomyka — Byota — Sreda : [uchebnyk dlja studentov vuzov] — 2 yzd. pererab. y dop. / T. A. Akymova, V. V. Khaskyn. — M. : Junyty-Dyana, 2002. — 566 s.
10. Vynokurova N. F. Ghlobaljnaja эkologhyja / N. F. Vynokurova, V. V. Trushyn. — M. : Prosveshhenye, 1998. — 270 s.
12. Karynceva A. Y. Эkonomycheskye osnovы planyrovanyja processov эkologhychesky ustojchyvogho razvytyja terrytoryy : dys. na soyskanye uchenoj stepeny kand. эkon. nauk: 08.08.01 / A. Y. Karynceva. — Sumы : SumGhU, 1997. — 230 s.
13. Lukjjanchykov N. N. Эkonomyka y orghanyzacyja pryrodopoljzovanyja : [uchebnyk dlja vuzov] — 2-e yzd., pererab. y dop. / N. P. Lukjjanchykov, Y. M. Potravnыj. — M. : JuNYTY-DANA, 2002. — 454 s.
14. Maljavyna A. V. Formyrovanye napravlenyj эkologhychesky ustojchyvogho razvytyja narodnogho khozjajstva Rossyjskoj Federacyy / A. V. Maljavyna. — M., 1994. — 58 s.
15. Moskalenko A. P. Эkonomyka pryrodopoljzovanyja y okhranы okruzhajushhej sredы : [uchebnoe posobye] / A. P. Moskalenko. — M., 2003. — 224 s.
16. Tykhonov A. Gh. Naukovi zasady stalogho rozvytku zemlekorystuvannja: indykacija ekologhichnogho stanu / A. Gh. Tykhonov, N. V. Ghrebenjuk, O. V. Tykhonenko, V. P. Fedenko // Zemlevporjadkuvannja. — 2003. — #1. — S. 15—20. 17. Tykhonov A. Gh. Naukovi zasady stalogho rozvytku zemlekorystuvannja: indykacija ekonomichnogho stanu / A. Gh. Tykhonov, N. V. Ghrebenjuk, O. V. Tykhonenko, V. P. Fedenko // Zemlevporjadkuvannja. — 2003. — #1. — S. 3—15. 18. Tykhonov A. Gh. Naukovi zasady stalogho rozvytku zemlekorystuvannja: indykacija socialjnogho stanu ta indykacijna modelj / A. Gh. Tykhonov, N. V. Ghrebenjuk, O. V. Tykhonenko, V. P. Fedenko // Zemlevporjadkuvannja. — 2003. — #2. — S. 8—19. 19. Tykhonov A. Gh. Naukovi zasady stalogho rozvytku zemlekorystuvannja: pryncypy, indykacija, pokaznyky / A. Gh. Tykhonov, N. V. Ghrebenjuk, O. V. Tykhonenko, V. P. Fedenko // Zemlevporjadkuvannja. — 2002. — #2. — S. 13—21. 20. Tykhonov A. Gh. Naukovi zasady stalogho rozvytku zemlekorystuvannja: sutnistj, pidkhody, zakonomirnosti / A. Gh. Tykhonov, N. V. Ghrebenjuk, O. V. Tykhonenko, V. P. Fedenko // Zemlevporjadkuvannja. — 2002. — #2. — S. 3—9. 21. Kotykova O. I. Metodologhichni ta metodychni osnovy kompleksnoji ocinky stijkogho rozvytku siljsjkoghospodarsjkogho zemlekorystuvannja // O. I. Kotykova // Sbornyk nauchnыkh trudov SWorld. Materyalы mezhdunarodnoj nauchno-praktycheskoj konferencyy «Perspektyvnыe ynnovacyy v nauke, obrazovanyy, proyzvodstve y transporte 2012». — Vыpusk 2. Tom 20. — Odessa : Kupryenko, 2012. – S. 85-94. In the present conditions, it is not possible to solve problems, which were formed in the field of land use, without shifting to a model of sustainable development. The period of research covers data for 1985-2013. The results of research concluded that the agricultural land use in Ukraine is not adequate to sustainable development. Indication, model, land use, sustainable development, economic status. 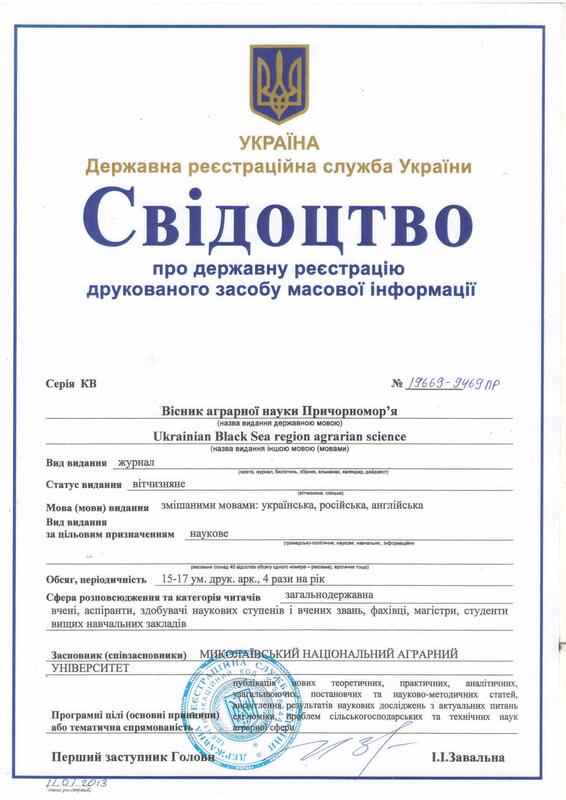 У статті розглянуто особливості та принципи екологічно чистого виробництва продукції. Проаналізовано динаміку розвитку органічного землеробства в країні. Досліджено окремі показники ринку органічної продукції у розвинутих країнах. Визначено національні пріоритети та механізми державного регулювання у сфері екологічно чистого виробництва. У статті досліджено проблеми розвитку сільськогосподарських обслуговуючих кооперативів в Україні. Наведено показники розвитку кооперативного руху в окремих країнах світу. Доведена необхідність реалізації положень програми “Рідне село”. Визначено завдання Регіонального навчально-практичного центру сталого розвитку сільських територій МНАУ та етапи їх реалізації. У статті наведено результати дослідження процесу державного регулювання та контролю якості підготовки фахівців вищої кваліфікації. Визначено структуру державного впливу та його змістовні характеристики.